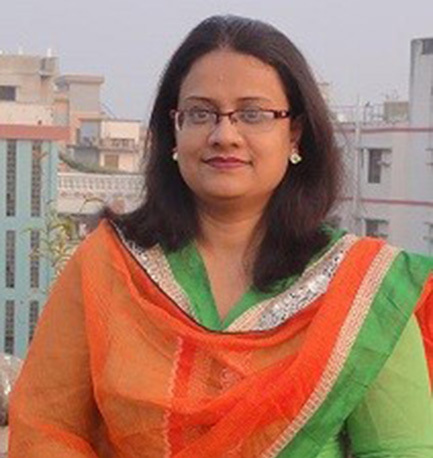 Jasiya Khatoon is a Director of WARBE (Welfare Association for the Rights of Bangladeshi Emigrants) Development Foundation and handling different training programs and projects. She also maintains different national and international networking. Her experience with WARBE DF, from 2008 until now, has been primarily focused on grassroots advocacy, where she have had the opportunity to raise awareness amongst migrant stakeholder groups and help organize them in advocating to the national government to change relevant laws and policies on migration. Working closely with migrant workers providing them with necessary training, information and support them to perform their migration formalities with better choice. She have experienced on conducting different grassroots and national programs as well as documenting the migrants’ rights violations etc. She is involved with the organizing advocacy program like seminar, workshops, rallies and human chain etc. in different occasion. Jasiya have facilitated training courses on safe migration process, Migration Act 2013, different conventions on migration, ToT at grassroots staffs etc and also she have facilitated to develop training modules, manuals, poster, booklet, IEC and BCC materials on Safe Migration. She participated in different regional and international conference and training like Asian domestic workers (ADWA) conference in Indonesia, Training on Rapid Response Mechanism (RRM) in Philippines, Diplomacy Training Program on Capacity Building Program on Human Rights Advocacy and Migrant Workers in the Middle East in Qatar, World Social Forum (WSF) in Philippines, Exchange Program in USA, 1990 UN Convention Anniversary program in Geneva, Switzerland etc. Jasiya Khatoon completed her MSS & BSS (Hons) from the department of International Relations (IR) of University of Dhaka. I have completed MSS in Development Studies from BRAC University. She received different trainings on Executive Certificate Course on Understanding Development, Financial Training for Non-financial Person, Advocacy Capacity Building Training for Strengthening Good Governance and Human Rights Initiatives Human Rights and Governance, Training on Monitoring and Evaluation, Gender Policy/Manual Development etc. Different report has been published. These are Report on “National Sharing for the Preparation of GFMD: Rights of Bangladeshi Women Migrant Workers”, Report on Campaign for Ratification of UN & ILO Migrants Rights Conventions and Adoption of the “ILO Multilateral Framework on Labour Migration”, Report of the Seminar on “Ratification of the UN Convention 1990 on Migrants’ Rights and Implementation of Bangladesh Overseas Employment Policy”, Report of Pre-budget Consultation on “Migrants Rights, Economic Recession and Reintegration of Returned Migrants”, Report of the National Seminar on “Women Safe Migration and Development” and Report on the Seminar of “Migrants Rights UN Convention: Importance of Ratification in Bangladesh Context”.